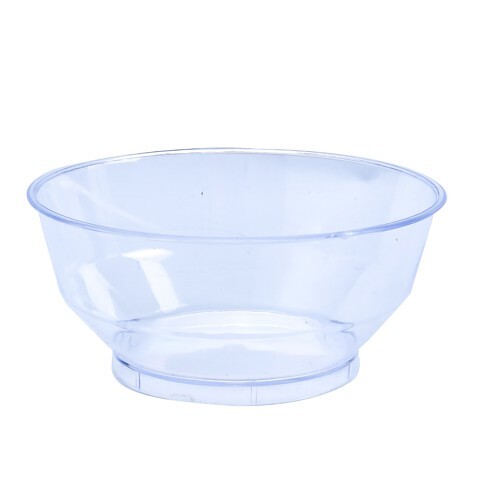 Dessert Bowl Mini W/Lid 6Pk. 8.4cm Diameter x 5.2cm. Clear. PS. 80g Packaging: Shrink Wrap with Colour Label.